There are so many scams online today, and as the days go by, fraudsters are improving on their techniques to deceive people. I am saying this because some of the investment opportunities that you come across as you research may seem very real and legit. However, when you dig deeper, you discover that it is just another scam. 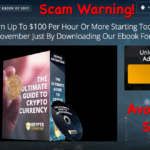 I want you to read this BitConnect review very carefully so that you will not fall into the trap of online scammers. BitConnect is a company that is presently scamming people indirectly without their knowledge. I am saying this because how the system works is different from what people perceive. The BitConnect is a self regulated financial system where traders invest and expect the company to mine the cryptocurrency and pay a percentage of the profit to them. This system BitConnect is claiming that traders can expect 40% returns on their investments every month if they invest in the BitConnect Coin. 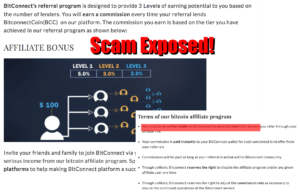 Bitconnect Review – Another Scam Or Genuine Robot? You can hold the Coin and resell on the platform when the value appreciate. If you invest, you can earn through BitConnect Coin lending. Investors can make profit through BitConnect Coin mining. You can join the affiliate program and earn referral commissions. Checking out the investment plan, you will notice that the more money you invest, the higher your reward. When you see this, you may think that it is very rewarding and legitimate. However, there are two things very wrong with this package. The first thing is that if you want to invest on the platform, you will have to pay with Bitcoin or Dollars. The second is that the BitConnect Coin is valueless outside the trading platform. Now tell me why you will trade your dollars or Bitcoin for the BitConnect Coin that is utterly worthless? I think I would rather keep my funds instead of investing in a digital currency that will not be accepted anywhere else. (I know many of our readers will think that same is the case with any other ICO like Litecoin or Ethereum but those coins seems genuine. You can look at their CEO/Developers profile to know more about those coins but there is nothing in the case of Bitconnect). Also, if any platform is promising exorbitant returns on investment, you should know that it is only a Ponzi scheme that can pay such outrageous returns. You see, the problem with Ponzi schemes like is that they don’t stay long in the business. Immediately new investors stop coming; they will not have the so-called returns to pay the old ones. Thereby, the whole system collapses, and investors will lose their millions. BitConnect uses new investor’s money to pay off the former investors, and if peradventure new people stop coming, we foresee a sudden collapse of the whole system. It is quite clear that BitConnect Coin is an alternative cryptocurrency that is tradable on their platform alone but it is not just what the platform is all about. 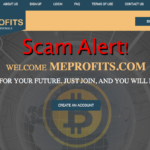 Traders who invest in the software are indirectly registering into a Ponzi scheme where their funds are used to pay those ahead of them in the pyramid. The company is not interested in people’s trading. What they offer is their affiliate program where you will invest and earn for introducing new investors to the platform. 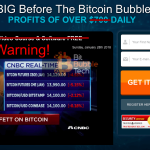 They lay more emphasis on bringing more investors into the scam than trading. Like I said earlier, scammers are improving on their antics and if you are not careful, you will think you are making a profitable investment. There are many things wrong with the BitConnect which I want to point out clearly. For a system that is promising such a high percentage returns on investment, no one can put a face to the developers. I mean, shouldn’t they come out and take credit for their system which is making waves in the financial sector? BitConnect is assuring investors that they can gain financial freedom by investing on the platform, but we don’t know who they are. When you visit Bitconnect.co, you will not find any useful information about the founders or the developers. At least if people know who they are, it will build more confidence in the system. When it comes to investing your hard-earned money anywhere, you should look out for transparency. Investment and mystery don’t work together, and if you must trust someone or invest in a trading platform, you should know every relevant detail. The company is operating illegally, and there is no evidence to prove otherwise. There are regulatory bodies that monitor the activities of firms where members invest and expect a percentage returns on their investments. Some of these agencies like the FTC (Federal Trade Commission) and the FCA (Financial Conduct Authority) protect investors by monitoring the activities of firms who offer financial services and investment opportunities. One of the reasons for this close monitoring is to ensure that these companies abide by policies like KYC (Know your customers) or AML (Anti Money Laundering) so that they can protect the investor’s interests. BitConnect is not registered or licensed by any of these bodies and as such, investing and trading on the platform is at the investor’s risks. If you go by the four methods of earning on the BitConnect trading platform, you may think that you have hit the jackpot. The affiliate program is just a trap which you must avoid at all cost. Let me explain briefly how the affiliate program works. The first thing you must do to qualify as an affiliate is to invest personally and then bring other investors to join the trading system. As you bring others, you will earn based on the BitConnect compensation plan. Your commission will come from the money which your referrals invest into the system. As long as you entrap new investors, you will continue to earn commissions. Is this not like other Ponzi schemes out there? BitConnect affiliate program pays commission to members by following a unilevel plan. You will earn 7% percent of the investment of those you enroll directly, and as those your downline members get new investors, you will also earn a percentage from their investments. These commissions go on till infinity except that your percentage will be declining at subsequent levels after level one. One important point to note is that the software accept Bitcoin and due to the untraceable nature of this digital currency, investors are at risk if the system collapses. 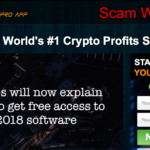 Many of the members who started with this scam are regretting bitterly for wasting their money and time on the platform. Some of the complaints are that making profits on BitConnect is hard than what they preached. Also, when you manage to make anyone at all, the scammers will hardly pay you. Since the people who have tried are complaining about it, it is not wise to waste your time and effort on the trading platform. I know that you may have read some positive reviews about BitConnect. You must remember that for affiliates to convince you to invest; they need to tell you what you want to hear. The affiliates will tell you that they have made millions as members of BitConnect so that you too can invest. The truth is that they need your funds to earn anything at all. BitConnect Review Verdict – BitConnect Seems To Be A Ponzi Scheme! Avoid it! My Recommendation – Buy CryptoCurrencies From Trusted Exchange Like IQ Option Only! 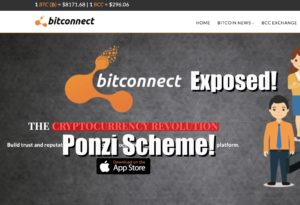 BitConnect is more of a Ponzi scheme than a trading software. There are many irregularities in the trading system. These unclear factors should warn you to keep your hard-earned money instead of giving them any chance. They promise more returns than what is attainable and even though you can register for free, you must invest before earning on the platform. Also, investing real money in exchange for a worthless currency is not wise. BitConnect Coin is not valuable outside their system, and your only hope is to hold it and wait for it to appreciate. What happens when the value does not increase, and you can’t even use it elsewhere? The affiliate program is not also a guarantee for profit. Very soon, people will start screaming “BitConnect scam, and when this happens, new investors will stop joining, and the system will collapse. The whole thing is just a waste of time. So it was all about Bitconnect scam review. I know that trading online can be risky as well as selecting a legitimate app. This is why I take my time to investigate each investment opportunity to help you mitigate the risks of online investment. 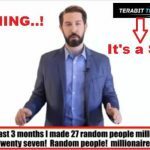 Thanks for the post Sofy is good to expose this fraud because with this cryptocurrencies boom everyone wants to be involved but don’t see the risk to invest because they are people who really are making good money in this business. I think before use or buy a cryptocurrency everyone should read a lot of reviews like this before.